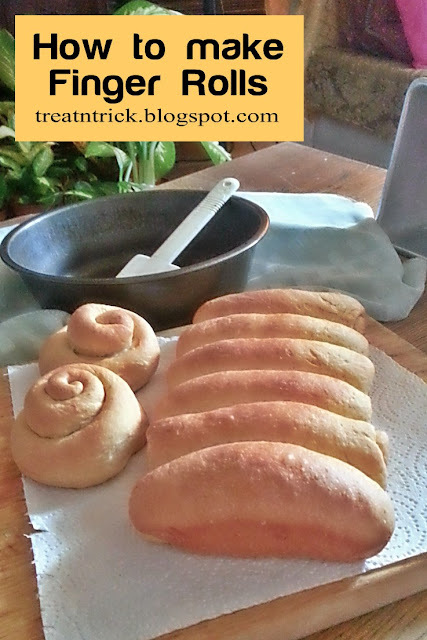 These yeasted rolls are made with regular flour and whole wheat. 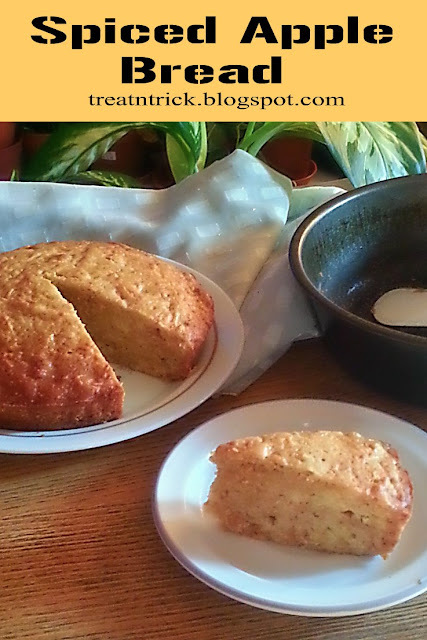 I have tried all sort of bread baking with variations of method. 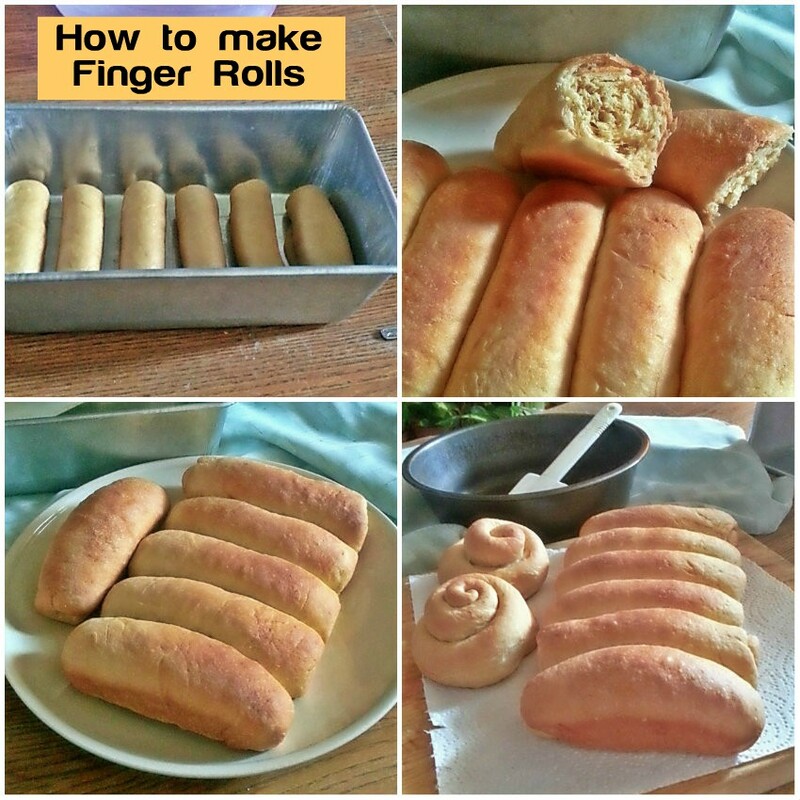 How To Make Finger Rolls use slightly different way from what I used to make. Remarkably easy recipe but need muscle work if you're using your hand or else dump the dough in your stand mixer or bread maker to knead it. Another thing I notice that How To Make Finger Rolls let you shape them immediately after kneading. Then allow to rise until doubled for 1.5 to 2 hours. When adding liquid to the dough, add in increments, All flour is hot the same, you may need more or less water/milk as indicated. I really enjoyed making them. the dough is so lovely to work with. You can ice them or stuff with sweet or savory filling if desired. 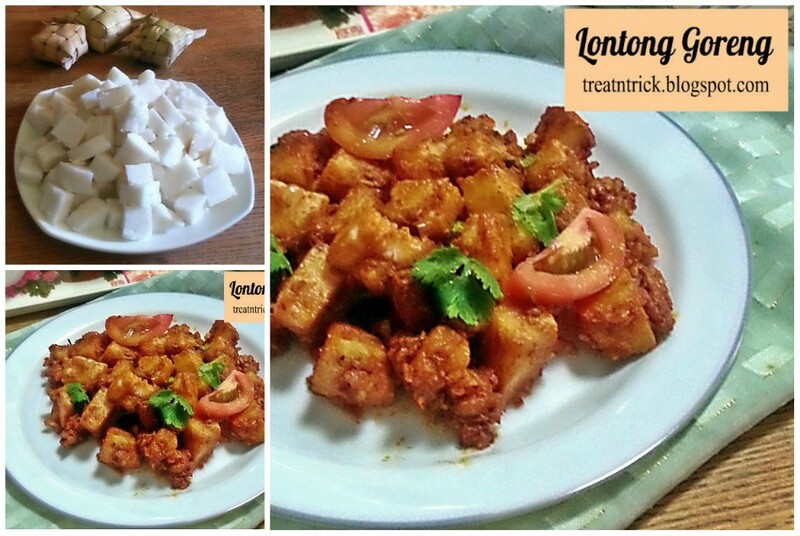 This was made with lontong (rice cake) and flavored with blended chili, onion, sauces and chicken. A versatile dish, it can adapted to suit your preference. For instance the add in of vegetables can be bean sprouts, mustard green, cabbage or bok choy. 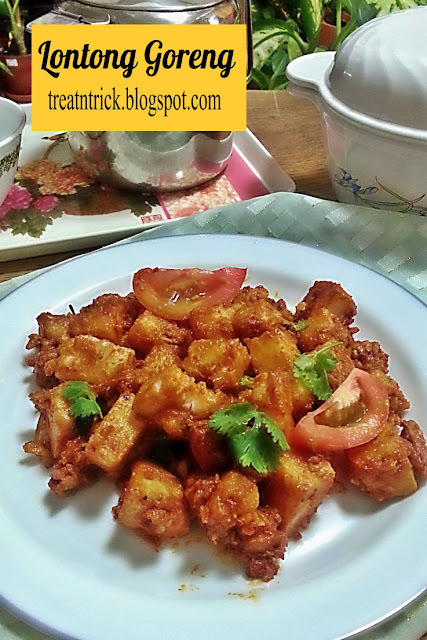 You can opt for prawn of minced meat instead of chicken..
Lontong Goreng is suitable to serve as breakfast or for lunch as well. Nowadays lontong was readily available from supermarket 24/7 . Adjust the sauces and chili paste to season the Lontong Goreng the way you like it. For those who can't get hold of rice cake at you place, replace it with cooked noodle or spaghetti. 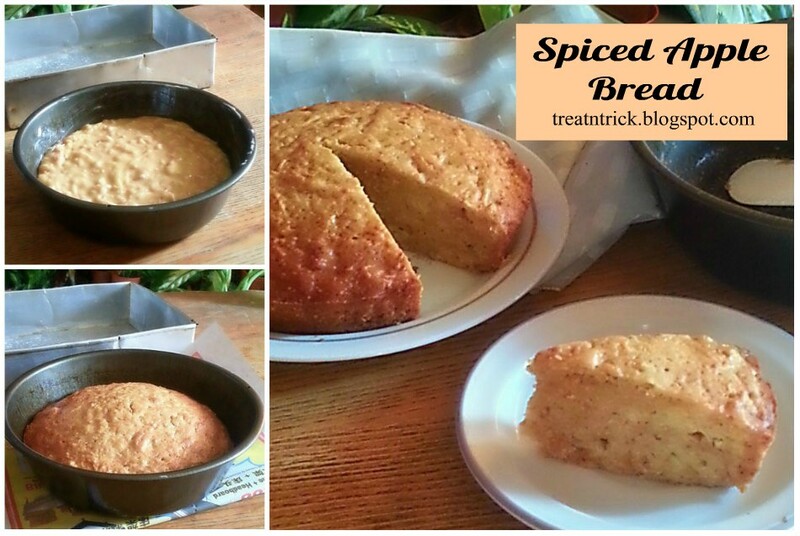 Deliciously yummy treat using Digestive biscuits, made from scratch. 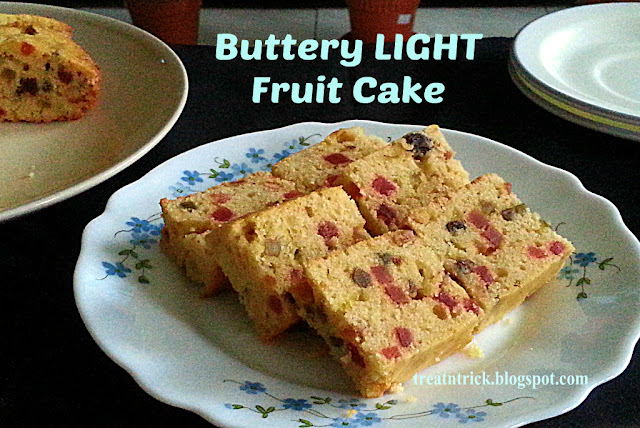 Am craving for a dessert that was quick and easy that does not involve a complicated step to make. 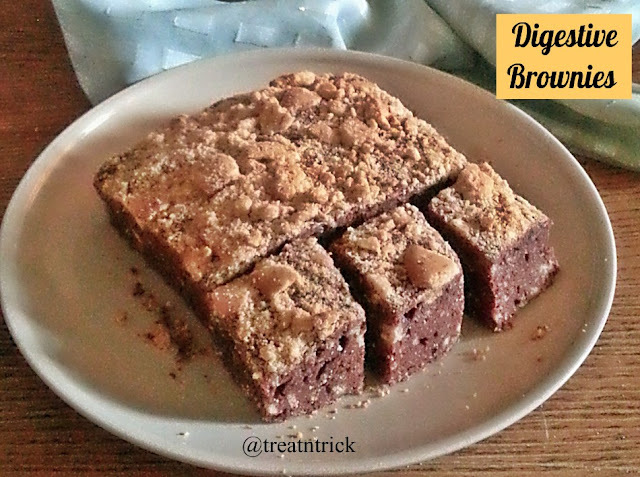 So I decided to whip up this Digestive Brownies. Since I have a sleeve of digestive biscuits so why not incorporated them in brownies. 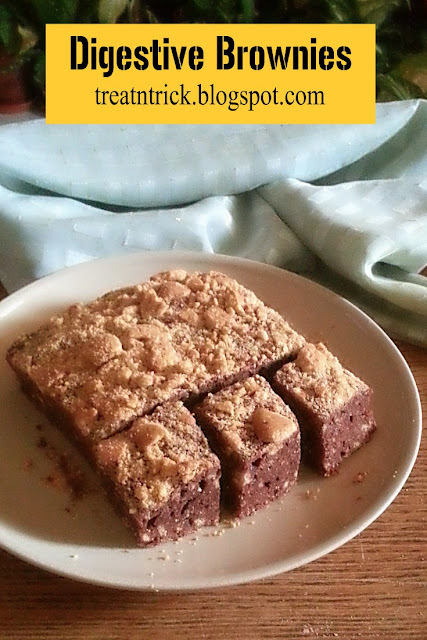 I crushed these but you can use quartered digestive over the top of brownies batter. Actually you can use other cookies but stick to this proportion , 1 1/2 cups to be added to the batter and 1/4 cup for topping (quartered or crushed). Always prefer not so sweet treat so use only 3/4 cup of sugar, Digestive Brownies were so good even my hubby who are not keen having sweet dessert requested for extra pieces. A traditional pancake made with fresh grated tapioca and coconut. 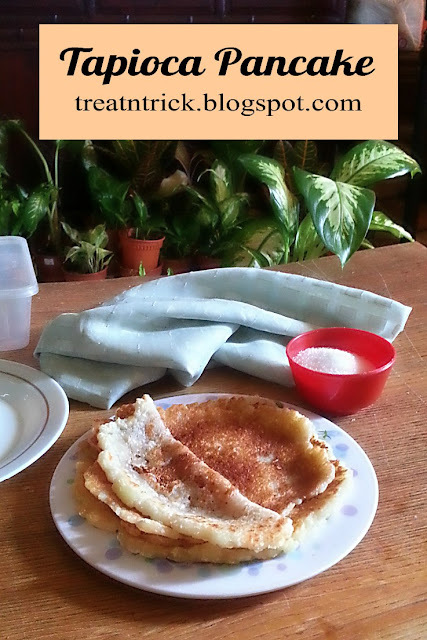 It has been over 10 years since I have eaten this Tapioca Pancake served by my late mum. Those days, we have to prepare the tapioca from scratch. Peeling and grating was the first step for making this pancake. Today grated tapioca was readily available in the market. Using a non stick pan eliminated the need to use excessive oil when frying them. 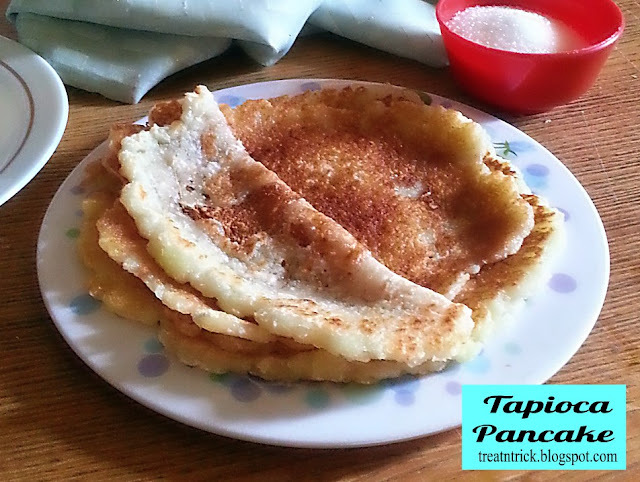 Tapioca Pancake can be eaten with sugar or dip in spicy gravy. Sugar could be added while mixing the batter for a sweet version. So I leave it to you to decide how you want to enjoy them. First of all, Eid Mubarak to those celebrating and kindly forgive me for my MIA due to some important family commitments. This Spice Apple Bread is a perfect choice to make if you have extra apple stock. It is remarkable easy to whip up. Using box grater, the royal gala apple works well for this recipe. You can use other apple varieties as well. Although you can't see the apple but the taste is there when you take a bite.